Let’s talk about something for a second…what’s for dinner? No, seriously; what’s for dinner? This is a question that haunts busy men and women daily, and 100% something we do not feel like doing when we get home from work, the gym or wherever. There are millions of different solutions out there, including ordering takeout, going out to eat and of course meal prepping. But for now, I would like to talk about another option that makes dinner fun and easy. No more trying to figure out what to make after a long day at work. Hello Fresh brings meals to your doorstep three days a week for two or four people. 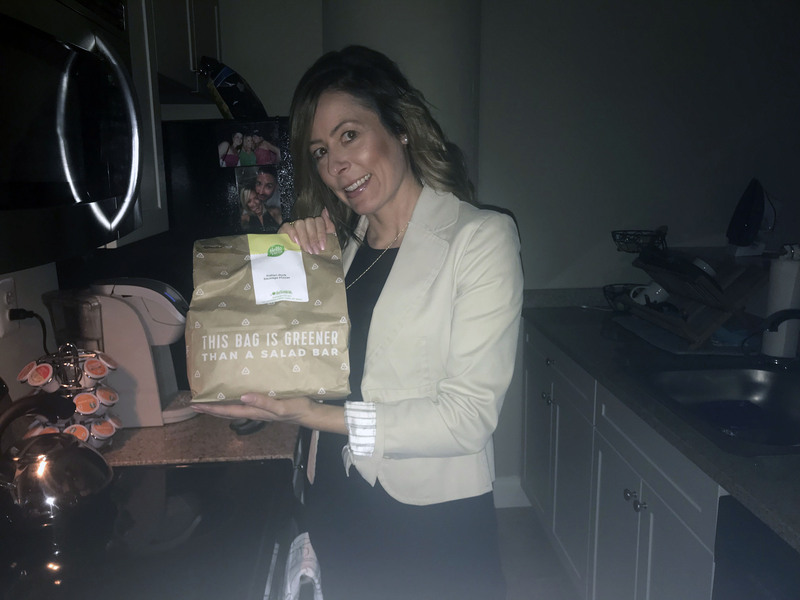 I’m an avid Hello Fresh customer and these meals are delicious! Each option is delivered in a refrigerated box for all things that need to be kept cool and each meal is labeled in separate bags. You open the bag and everything you need is there to make a healthy, perfectly portioned dinner! With portioned meals, you are not overeating, and you do not have tons of leftovers. Each ingredient is perfectly portioned for however many servings you ordered. This is perfect for those who don’t have a lot of refrigerator space like us. Especially with your weekly meal prep. First, you go to HelloFresh.com (there’s also an app for that) and then you get a selection of meals to choose from (there are vegetarian choices as well). That’s it! Once you pick your selection of meals for the week, you just wait for them to be delivered on Monday. Each meal takes normally between 20-40 minutes to make and comes with the recipe card (as well as all the nutritional information). It’s delicious eating in its simplest form and helps to answer the age-old question of what’s for dinner? Hello Fresh helps me to feel organized on those nights I just don’t want to worry about what to cook. Not to mention, it gives my boyfriend and I time to talk about our day, spend some quality time together and brings the joy back to simple cooking. Get your first box from Hello Fresh for free with code Y48AZJG6H. What are your simplest go to options for a quick easy delicious dinner? Please share!